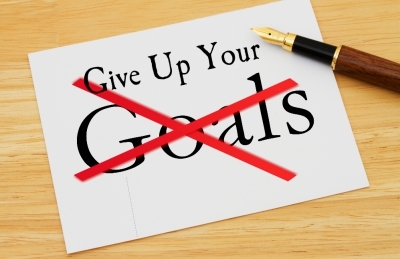 As counter-intuitive as it sounds, if you are stuck, one of the first things to do is give up your goals. Which may lead you to think that my idea of getting unstuck just means that you leave things the way they are. Instead of being stuck, you might be stranded. Nope. That is NOT what I mean. You see, I think that goals often cause us to be even more stuck. Not very appealing, is it? Not only that, but many goals we create are not even within our control. If you have the goal to make the football team, a coach has to choose you. Many might have that goal. Lots get cut from the team. But there is an alternative. One that you CAN control, live into, and move into. Let me tell you about it.